Editing photos in Photoshop Elements 6 is easy with a little guidance on how to maneuver through the application, how to use the shortcuts, and how to select images and parts of images. 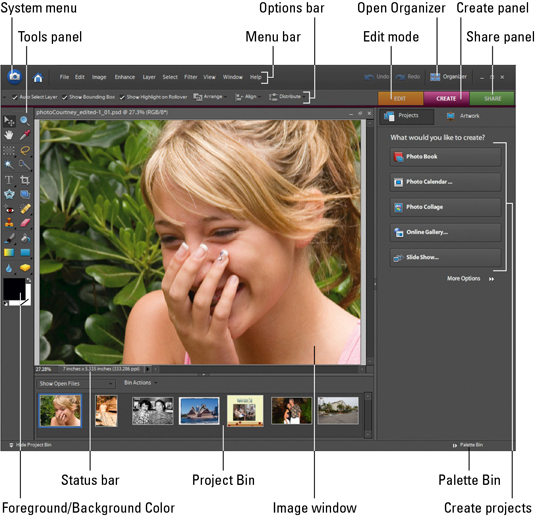 Manipulating images is what Photoshop Elements 6 is designed to do. This table tells you how to select your heart out — everything from adding to a selection in Photoshop to deselecting to hiding a selection. If you can select it, this table tells you how.